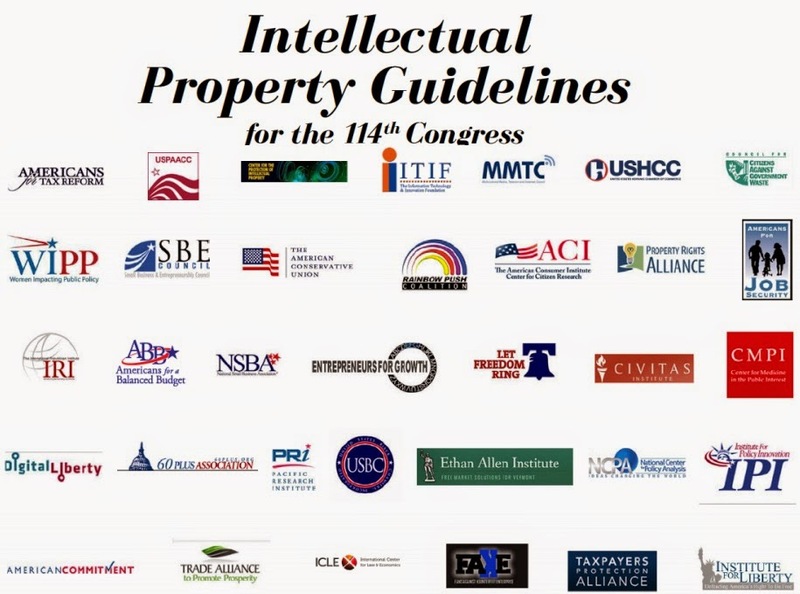 Here are some recent opinions and reports about the value and necessity of protecting and respecting intellectual property rights (IPR), related to the GIPC's 3rd International IP Index 2015 that was released only last week. "Imagine spending years on research, experiencing a breakthrough, developing a new tool, technology, or medicine, but knowing that your innovation may not be protected. Many innovators around the world face this harsh reality. Intellectual property creates value – both socially and economically- by creating jobs, driving economic growth, and enriching our culture. Yet, despite these things, intellectual property protections around the globe remain inconsistent." "Innovation and creativity allows for economic growth and job opportunities – and these need to be better protected encouraging further development. 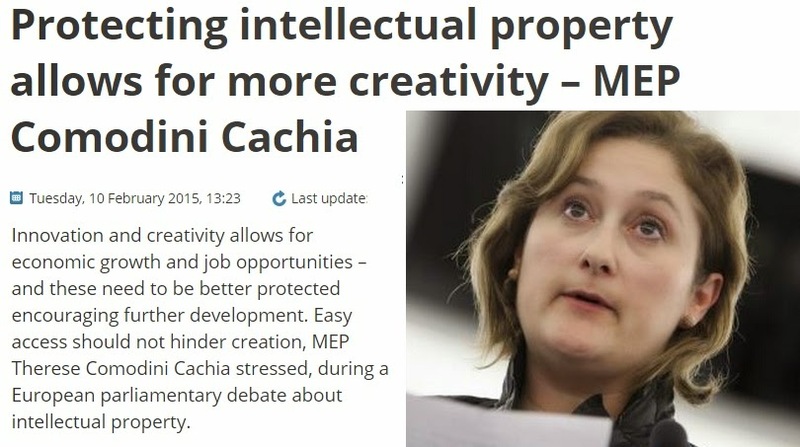 Easy access should not hinder creation, MEP Therese Comodini Cachia stressed, during a European parliamentary debate about intellectual property." Reposted in MLI, same date. Sometime in 2009, I participated in a small group Asian think tanks' IPR and Innovation meeting in Singapore. It was organized by the International Policy Network (IPN) then, headed by Prof. Julian Morris. I just discovered this photo in my laptop today. Julian (6th from left) was accompanied by Philip Stevens (whom I last saw in 2012 in Penang, Malaysia, EMHN seminar) and Alec van Gelder (whom I last saw in 2010 in Sydney, ATR-PRA conference). There were at least eight of us participants from eight Asian countries then. I am thankful to IPN and Julian for introducing me to this technical topic that is often mired with emotion and populism by various campaigners advocating disrespect, if not killing, IPR. I have written many articles on "IPR Abolition", "IPR and Innovation", and "IPR and Medicines" in this blog from 2008 to present.